Wal-Mart History: Wal-Mart is an American public multinational corporation that runs chains of large discount department stores and warehouse stores. Wal-Mart History & Trivia is a Brand History and Trivia page just like Dell, Adobe, Zippo and AOL. Founder: It was started by Sam Walton in 1962. Sam Walton was ranked the richest person in USA from 1982-88. Wal-Mart started as Walton’s Five and Dime Store which was a Ben Franklin franchise in 1954. Sam Walton operated it on a principle of greater sales volume at profits slightly lower than the competition. The first Wal-Mart Discount store began in July 1962, and there has been no looking back ever since. 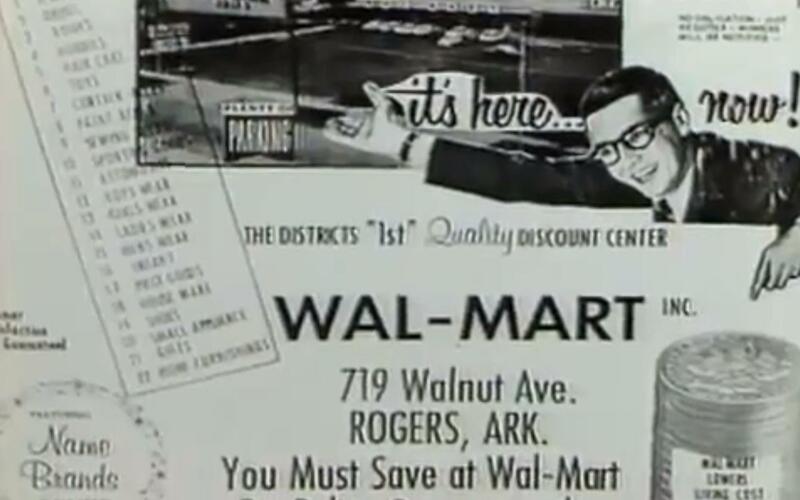 Wal-Mart History - Sam Walton 1960's Advertisement. 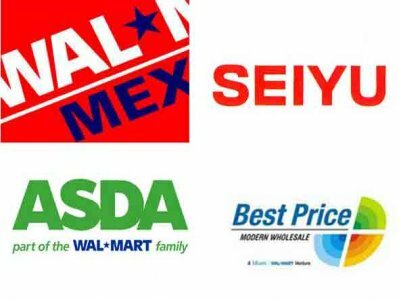 Wal-Mart currently operates 8,500 stores in 15 countries, under 55 different names such as SEIYU in Japan, Best Price in India, Walmex in Mexico and Asda in UK. – Wal-Mart is the largest employer in the world, with the estimated number of employees being close to 2.1 million. – It first featured on the Fortune 500 list as America’s largest corporation in 2002 and continues to be featured on the first spot every year (except in 2006, when it was replaced by Exxon Mobil). – If Wal-Mart is treated as a separate nation, it would be the 23rd largest economy in the world with revenue of approx. $405 billion in 2010. – Wal-Mart’s low price business principle is termed as ‘creative destruction’, as it closes down small local businesses, but also creates many job opportunities. Wal-Mart has also been criticized for its anti-union stance and several cases of gender biasing. – According to a study, Wal-Mart discounts benefit consumers in the USA by adding almost $50 billion in savings. – Wal-Mart has a policy of not carrying any violent, sexually provocative or objectionable materials in their stores (though it sells cigarettes & guns!) and made many musicians repackage their albums. These ‘cleaner’ editions of music albums are also referred to as ‘Wal-Mart editions’. – If Walmart’s more than 8,500 stores were put in one place, they would take up more than 32 square miles. – Each week nearly one-third of the U.S. population visits Walmart’s U.S. stores. – In 2000, Walmart was sued 4,851 times. – Walmart parking lots alone combined will take up roughly the size of Tampa, Florida. – Wal Mart now averages a “profit” (not sales) of $36 billion per year. Wal-Mart History Facts & Trivia is a Brand History and Trivia page just like Dell, Adobe, Zippo and AOL. Nash Motors was founded in 1916 by General Motors fifth president Charles W. Nash who acquired the Thomas B. Jeffery Company. Jeffery’s best-known automobile was the Rambler whose mass production from a plant in Kenosha, Wisconsin began in 1902. The 1917 Nash Model 671 was the first vehicle produced to bear the name of the new company’s founder. Nash-Kelvinator Corporation was the result of a merger between Nash Motors and Kelvinator Appliance Company. The union of these two companies was brought about as a result of a condition made by George W. Mason prior to his appointment as CEO of Nash. 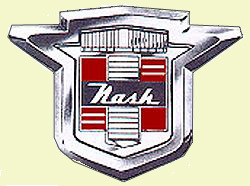 In 1925, Nash introduced its entry level marquee Ajax, later sold as ‘Nash Six Light’, which was produced in the newly acquired Mitchell Motor Car Company plant in Racine, Wisconsin. In 1924, Nash acquired Indianapolis based LaFayette Motors , which was a manufacturer of expensive luxury cars. In 1954, Nash Kelvinator acquired Hudson Motor Car Company of Detroit, Michigan to form the American Motors Corporation. Kelvinator continued as a wholly owned division within the new company. The Kelvinator brand was eventually sold to White Consolidated Industries. What is Chevrolet: Also known as, Chevy is a brand of vehicles produced by General Motors Company (GM). Brands: Chevrolet is the wholly subsidiary of General motors Co. that was acquired to sell mainstream vehicles to compete with Ford’s T Model. Corvette– Sports cars, Malibu– Mid size cars, Chevelle are the major brands of Chevrolet. History: Founded by Louis Chevrolet and expelled GM founder William C. Durant in 1911 as Chevrolet Motor Car Company. Later acquired by General Motors Company. Chevrolet Classic Six (Series C) was the first ever Chevrolet designed by Etienne Planche. 1. 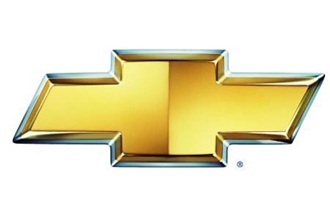 Chevrolet first used its “Bowtie emblem” logo in 1913 designed from wallpaper Durant once saw in a French hotel; Later stylized the Swiss cross, in honor of the homeland of Chevrolet’s parents. 2. Chevrolet brands in India was launched by GM’s India operations- Originally a joint venture with Hindustan Motors. 3. Chevrolet is the sole Engine supplier for the Formula Rolon single seater series in India. Company; The Republic Motor Company. 6. Saif ali Khan and Rani Mukerjee are the brand ambassadors of mid size Chevrolet Aveo, in India. 7. General Motors permitted AJS-Production, South Africa to register under Louis Chevrolet trademark for its line of premium quality Swiss Watches in order to pay tribute to Louis Chevrolet, the founder. 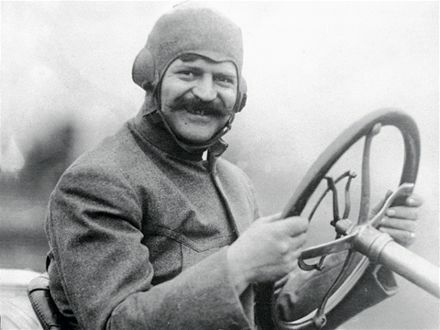 Louis Chevrolet: Louis Chevrolet , founder of Chevrolet General Motors best selling brand, was born in 1878. He won his place in the International Motorsport Hall of Fame and the national Sprint car Hall of Fame as well as Motorsports Hall Of Fame in America. He later died in 1941. Chevrolet has many ad campaigns under its banner, The Chevrolet Spark; Chevrolet Super bowl commercial “Ain’t we got one” being the famous one. 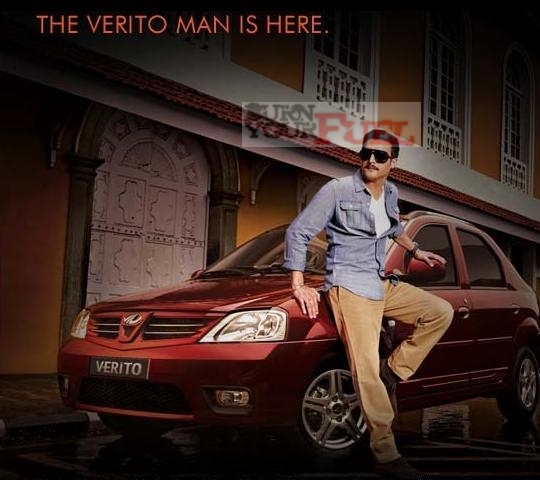 According to the latest ad from Mahindra, Jimmy Shergill stars as ‘The Verito Man’. Mahindra has roped in Jimmy Shergill ‘in his new look’ to endorse their latest sedan – Mahindra Verito. The ad though is quite a disappointment with a dialogue similar to ‘Kaante’ and a tagline similar to Raymonds but the worst part is the fact that the ad does Not reveal much about the Car! 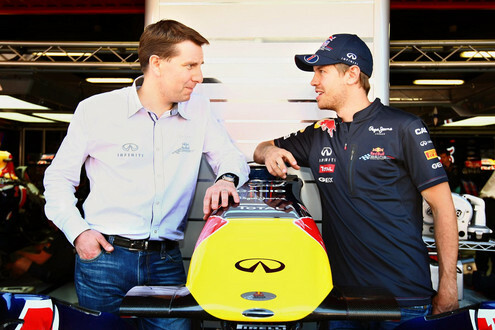 The first global brand ambassador for Infiniti turns out to be a good one! They’ve taken advantage of Red Bull Sponsorship to sign Sebastian Vettel for the job. World’s youngest Formula 1 world champion and the current leader of the 2011 season will help raising the profile of the Infiniti brand and its products during race weekends and at selected events linked to Infiniti’s business and product programs. Japanese car company Toyota has entered into a partnership with Hatsune Miku, a 3D holographic singer with a rising fan base in the US, to front its 2011 Corolla campaign for the Asian American market. Toyota will sponsor the virtual singer’s first performance in the US, at the Nokia Theatre in LA as part of the Anime Expo 2011 as it rolls out a major marketing campaign including print, TV, digital and social media activity. A recently released YouTube video of the holographic singer as part of the promotion, notched up in excess of half a million views in just three days. mer and the Ambassador for the brand. The formalities are to take place on 22nd May 2011 as Arjun Rampal will get keys to a brand new Hyosung Superbike on the occasion of showcasing the Hyosung Superbikes to the masses. TV chef and presenter Mike Robinson has become a Brand ambassador for Isuzu after several years as an owner of the pick-ups. 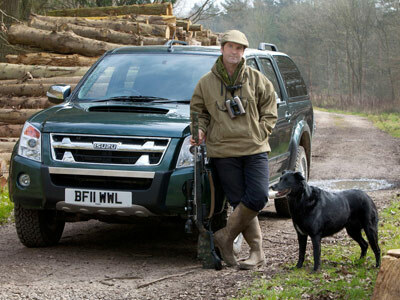 Mike, who presents the popular ITV series CountryWise and CountryWise Kitchen, has been an owner of an Isuzu Rodeo Denver Max for the last six years, a period in which Mike says the Isuzu never let him down despite 96,000 miles of miles of hard country use. 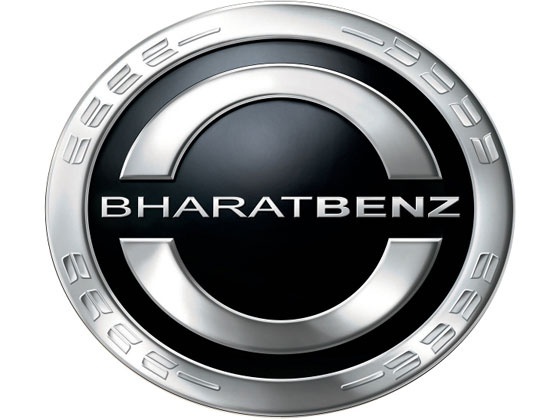 Daimler, one of the largest manufacturers of trucks in India as well as the world, has just unveiled a new brand, BharatBenz, for its trucks specifically tailored for India. Daimler is not only the world’s largest manufacturer of medium and heavy-duty trucks above 6 tonnes, but it is the company that has pioneered many innovations in the commercial vehicle segment, including building the world’s first truck some 115 years ago. And now to cater specially to customers in India, Daimler has launched the new BharatBenz brand that will offer an entire range of trucks from 6 to 49 tonnes. Tata Motors and JLR together with an evaluation of $8.45 billion, has topped India’s valuable corporate brands, toppling Reliance India Limited. 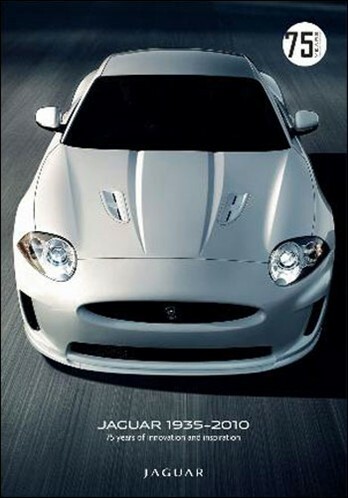 The brand valuation of Tata Motors-JLR grew 172% over its 2009 value of $3.1 billion when it was at No. 5 in the pecking order. Quintessentially British, and now Indian, Jaguar is a company we can be proud of, whether it be for racing success or simply building some of the world’s most beautiful cars. Of course, Jaguar has weathered a few storms in its illustrious history, but today, in the hands of Indian giant Tata, it’s in perfect health with a fabulous line-up of cars. 2) By the 30s Lyons has taken the plunge and has graduated from coachbuilding to constructing his own cars under the SS name. And then in 1935, a momentous moment: the SS range of cars is renamed Jaguar. Mahindra has appointed Bollywood actress Kareena Kapoor as the brand ambassador for the Mahindra PowerScooters lineup. The actress will feature in a number of promotions across print, electronic and online media. This follows Mahindra signing up Aamir Khan for its 2 Wheelers segment. 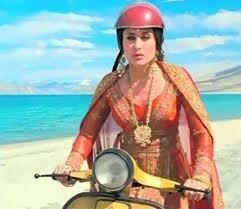 Kareena Kapoor was first seen riding the 125 cc Mahindra Flyte scooter in the blockbuster film 3 Idiots. 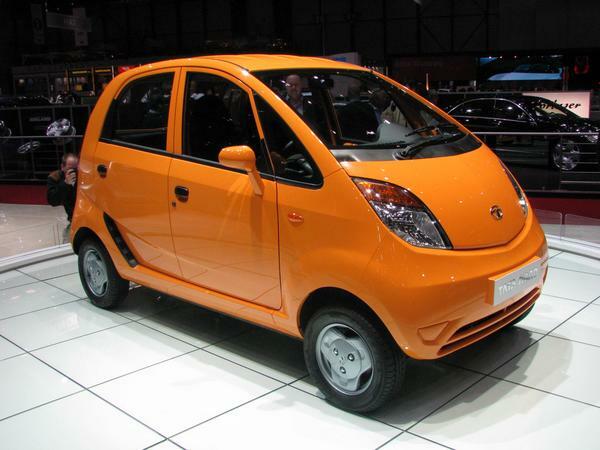 A year after its launch, India’s cheapest small car Tata Nano is planning to make inroads into the remote parts of the country. Tata Motors plans to set up more than a 1,000 kiosks across India to sell the car, especially in areas where it has no dealerships. 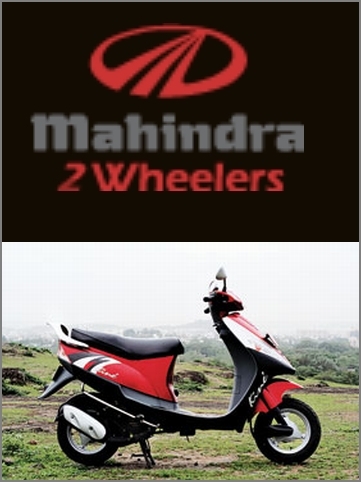 Mahindra 2 Wheelers, a part of the Mahindra Group, has entered into the motorcycle market and has roped in Bollywood superstar Aamir Khan as the brand ambassador for this segment. Mahindra has launched its first two motorcycles — Stallio and Mojo. 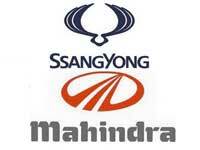 Mahindra already has Rodeo, Duro and Flyte in its 2 wheeler portfolio after the Kinetic takeover. Nissan and Dongfeng will launch a lower-priced brand of vehicles in China. 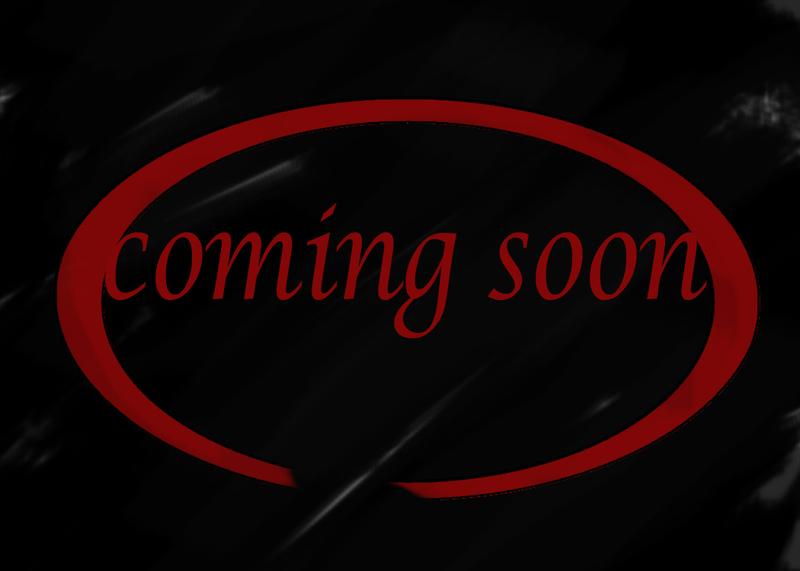 The new brand is called Venucia, Qi Chen in Chinese. New cars will be targeted at first-time buyers. BEIJING — Honda started the trend two years ago in China when it unveiled the new Li Nian brand with local partner Guangzhou Auto. General Motors followed suit this summer, when it created the Baojun brand with local partner Shanghai Auto. Now, Japan’s Nissan is teaming with Chinese partner Dongfeng Motor in announcing the new Venucia brand — Qi Chen (“morning star”) in Chinese — on a line of lower-priced vehicles for the Chinese domestic market. According to Japan’s Nikkei news service, the new Venucia models from the Dongfeng-Nissan joint venture will be targeted at “first-time car buyers among the less affluent middle class in regional cities” and will undercut Nissan-brand vehicles in price when they arrive in 2012. Nikkei added that “Nissan is believed to have created the new lineup to prevent its namesake brand from falling in price” in China, where competition, especially at the low end, is extremely ferocious. Venucia prices are expected to start at less than $7,500. 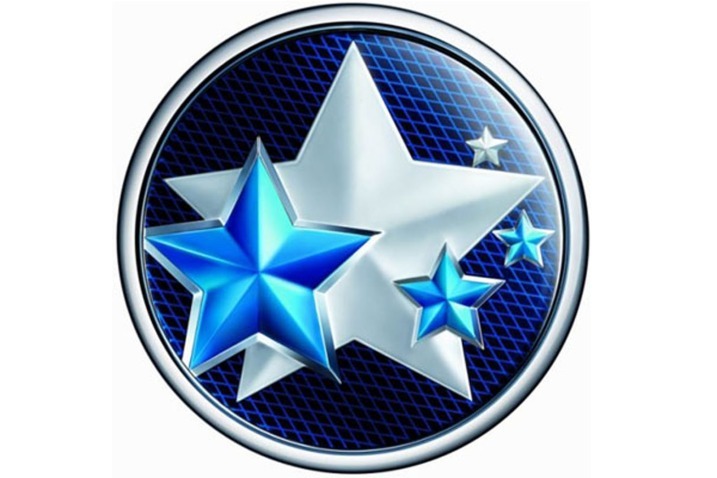 The Qi Chen logo incorporates five stars, similar to the design theme on the Chinese flag. Update your Facebook status while driving!! 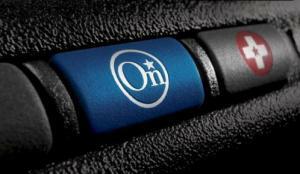 OnStar, the in-car services network, today announced a new service which allows you to update your Facebook status by dictating to the OnStar. 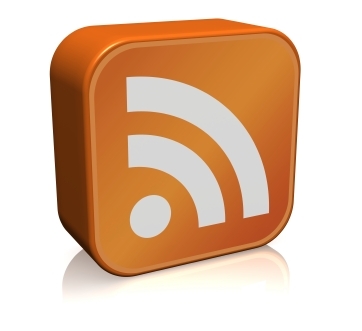 And not only that, you can listen to the most recent updates from your news feeds via OnStar. This is a way for the company to expand and add more features in addition to its Automatic Crash Response and navigation services. The company is working on integrating web-based services like Google Maps into its core offering. I think it is cool to see a staid old company like GM trying to add social networking to OnStar. Close on the heels of Chevrolet signing Tim Allen as their Voice Ambassador, General Motors’ subsidiary Adam Opel GmbH says it has signed-up the winner of the European Song Contest as its new brand image. Opel spokesman Christof Birringer said singer Lena Meyer-Landrut, known as “Lena”, was introduced as the new face for the company’s cars during a surprise concert for some 20,000 people at Opel’s open house event in Ruesselsheim near Frankfurt on Saturday. The 19-year-old German singer won the European Song Contest in May with her catchy pop song “Satellite”. Opel is eager to renew its brand image, which has suffered following GM’s bankruptcy in 2009 and the ensuing uncertainty over the future of its European subsidiaries. General Motors has officially announced that television and movie star Tim Allen will be the new “voice of Chevrolet,” starting with a series of ads that will begin airing on September 7. 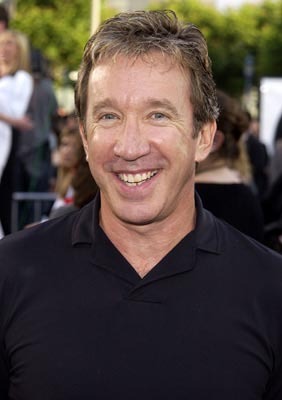 Allen is best known for his starring role on the long-running 1990s sitcom Home Improvement, as well as his roles in The Santa Clause movies and as the voice behind Buzz Lightyear in the Toy Story trilogy. In addition, Allen is also a well-known automobile enthusiast and has an extensive car collection. He is a native of Detroit, Michigan, and has a strong love for classic American muscle cars.